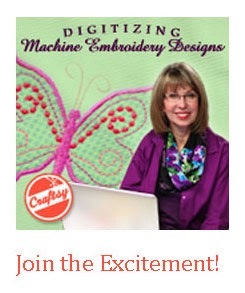 Cookie's Embroidery and Sewing Creations: Projects so quick and cute for Valentine's! 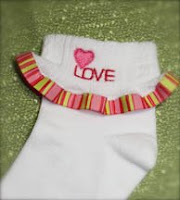 Projects so quick and cute for Valentine's! Let's grab some ribbon, socks, the Valentine designs and a long sleeve baby T-shirt and have some fun! Using the sock easy baby size unit available at Cookiescreations.com I was able to insert it into the baby T long sleeve and embroider a HUG on it! Below is how it looked when I inserted the baby frame into the sleeve (I did run a trial check to ensure I had it in place correctly without hitting the unit before pressing that start button on my embroidery machine.) 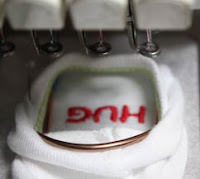 Also using the method shown in the How to Embroider Socks video, I had marked the direction of the design with a pin and remembered to rotate the design 180 degrees on the machine. 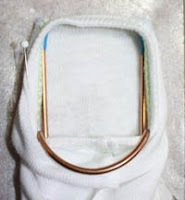 I also used pins on the outside of the frame as I did with the baby mitten on the How to Embroider Gloves and Mittens video. The videos are free to watch here on this blog so do watch them to learn these and other valuable tips. Once the design was stitched on the sleeve, I added a cute ribbon to the edge of the sleeves. Embroidering the front of the T-shirt was easy with Eco-Stick stabilizer and since the T-shirt was inexpensive ($1.00) I put a layer of water soluble topping over it before embroidering the rest of the designs. 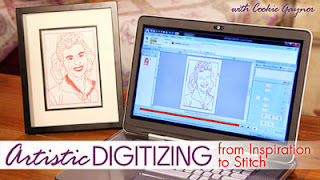 I positioned each of the designs using my embroidery machine's edit function. I could of arranged them in my embroidery software but my computer was already off and I didn't feel like waiting. I bet some of you know how that feels! It worked like a charm, and I think it turned out pretty cute... 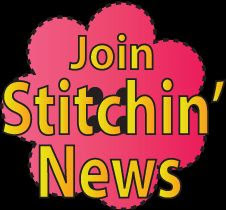 Remember you can always use those fancy stitches on your sewing machines to jazz up an plain little T-shirt or pair of socks. I also embroidered a pair of matching socks! omg- love it love it love it! So cute! Can't wait to see a photo with a baby donning this fine creation.